There’s nothing quite like riding a bike up the slopes of Mount Toham with a hurt knee on only three hours of sleep. 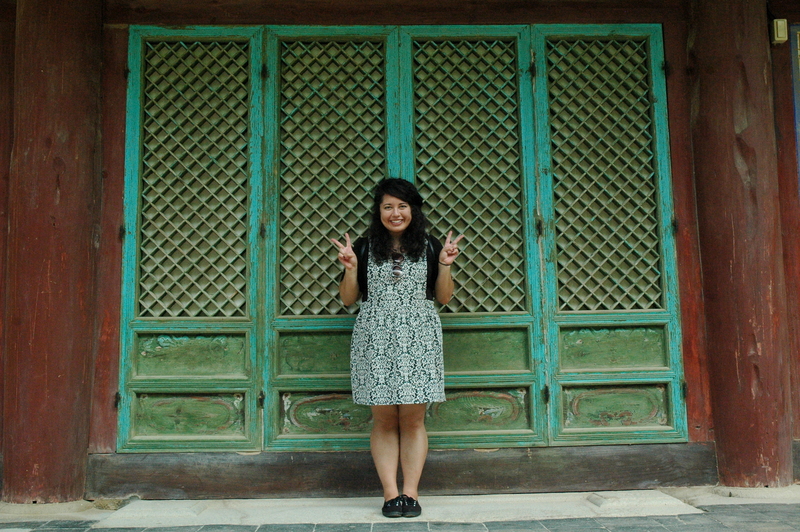 Yesterday Monica, Brent, and I went to Bulguksa Temple for Brent’s 26th birthday. We calculated that the ride would be an easy 26 km (16 mi) or so roundtrip, but my derrière says otherwise. 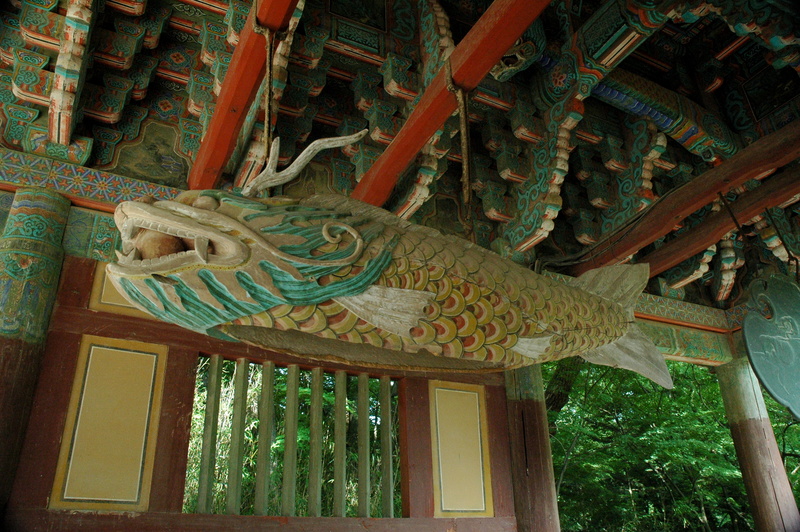 Bulguksa Temple is located in Gyeongju, the former capital of the Silla Kingdom. 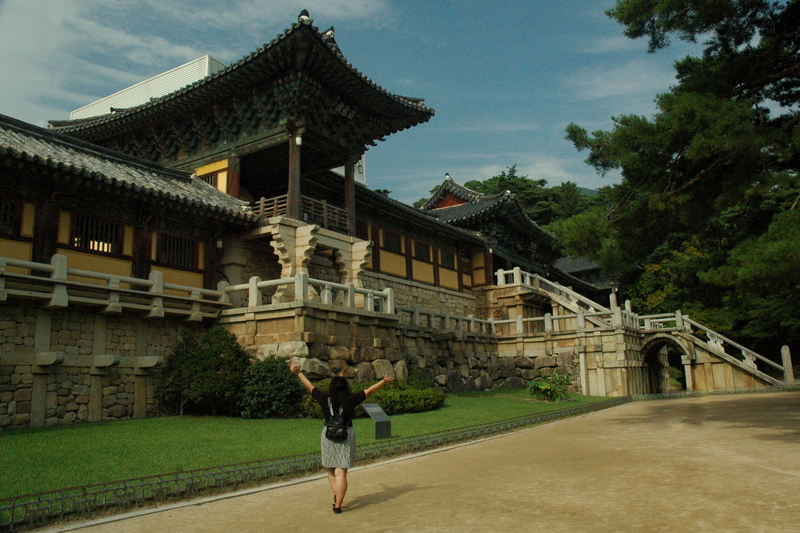 According to UNESCO, Bulguksa means “Temple of Buddha Land,” which essentially means it is “terrestrial paradise of the land of Buddha.” We took a train from Haeundae Station to Gyeongju, which took about an hour and a half and cost us ₩5600 ($4.68) per way. 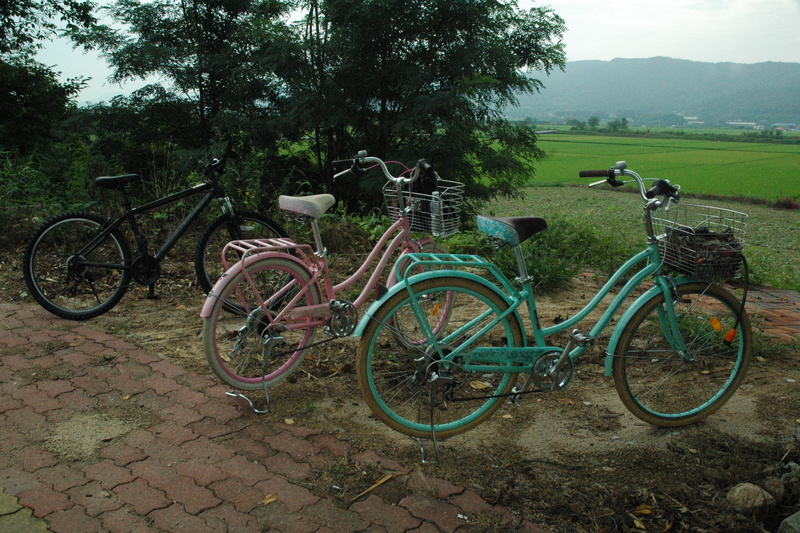 Upon arriving, we rented bikes for ₩10,000 ($8.36) a piece. 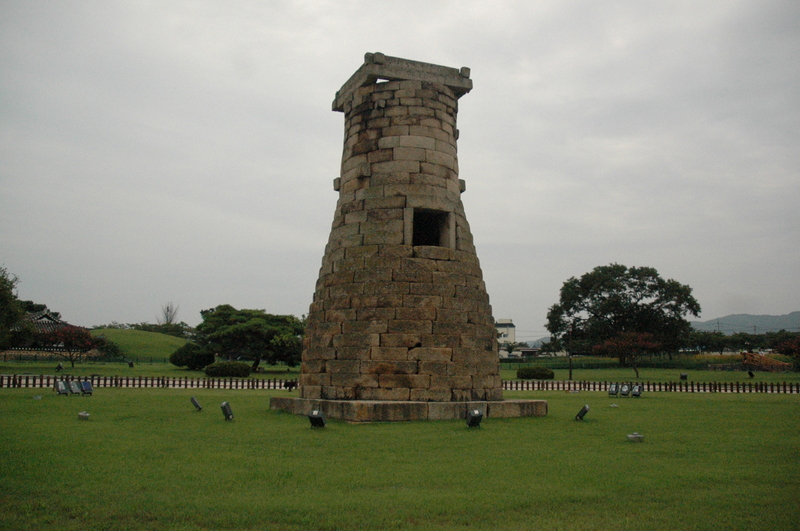 Our first stop was the oldest observatory in East Asia, Cheomseongdae. 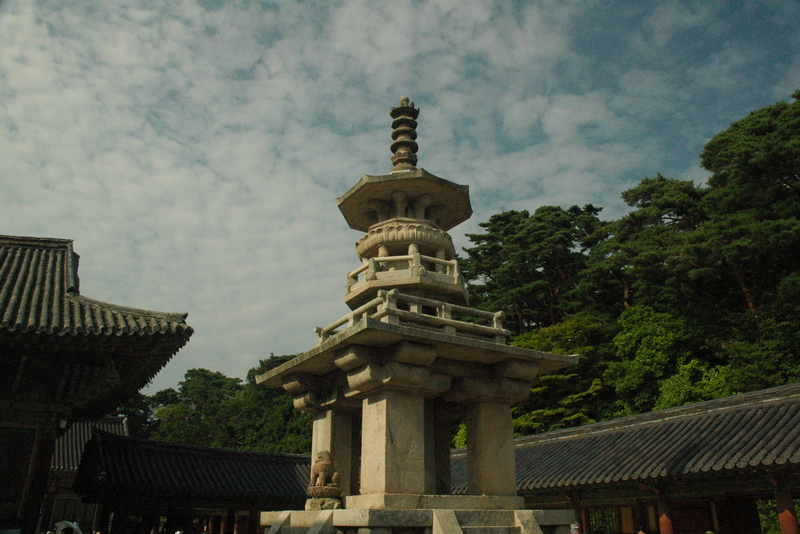 Built in the 7th century by Silla Queen Seondeok, Cheomseongdae is number 31 on South Korea’s list of national treasures. 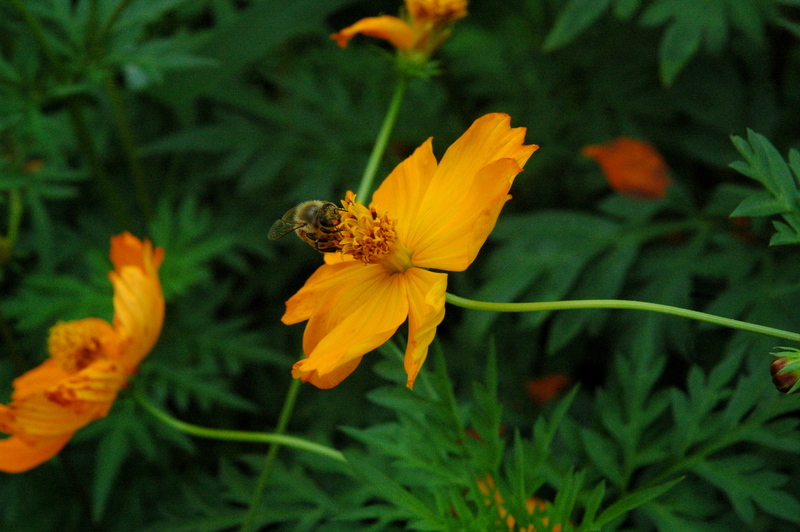 In the area surrounding the observatory were fields of flowers. The incredibly cloudy sky came as both a blessing and a curse – although we did not bake in the heat, very few of my pictures turned out well. After hanging out in the fields for a bit, we decided that it was best to go ahead and make our way to the temple. Just as we exited the busy part of town, our stomachs demanded food. Looking around, we saw one option: a fancy bibimbap restaurant with pictures of Mark Lippert, the United States Ambassador to South Korea, plastered all over the walls. 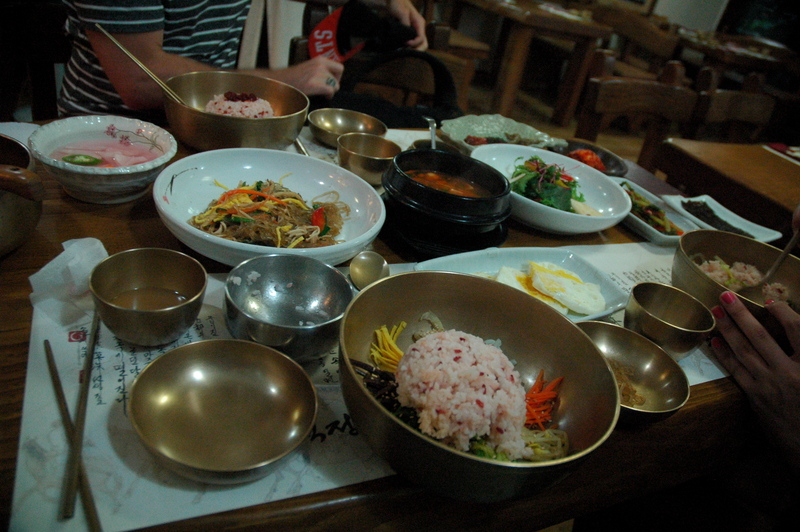 The only bibimbap that I have ever had was on my flight over. Guessing which one was more delicious should not be hard. Bellies full with little money left in our pockets, we pedaled away. On both sides of the road were paddy fields and mountains. The bike path was riddled with trees, overgrown shrubs, potholes, and bus stop benches. Weaving through the obstacles kept me from fully committing to screaming out “Why” by Zhoumi. After what felt like forever swimming in our own sweat, we reached our destination. As far as I could tell, we were the only people who had biked to the temple. Much to our chagrin, we had to pay to enter – adult tickets cost us ₩4000 ($3.34) a piece. With only an hour to explore, my friends and I raced through the temple. There was actually a point where I had to chase Monica because she was moving so fast. 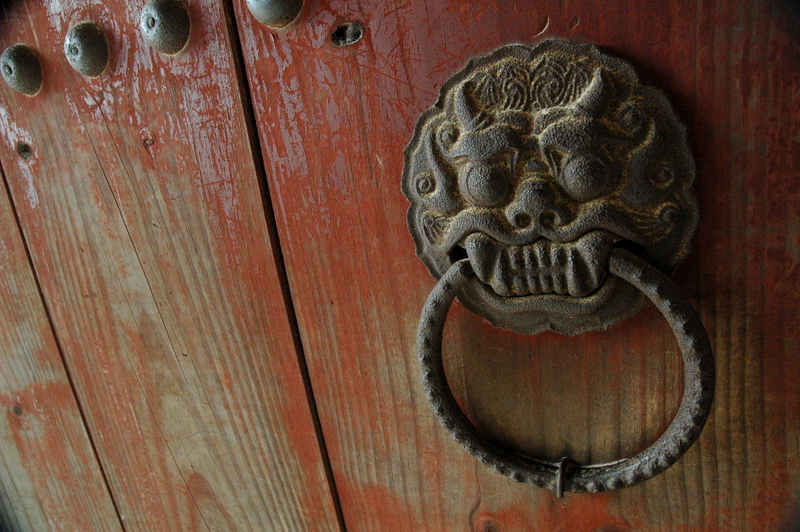 The construction of this temple began in 751 and was completed in 774. 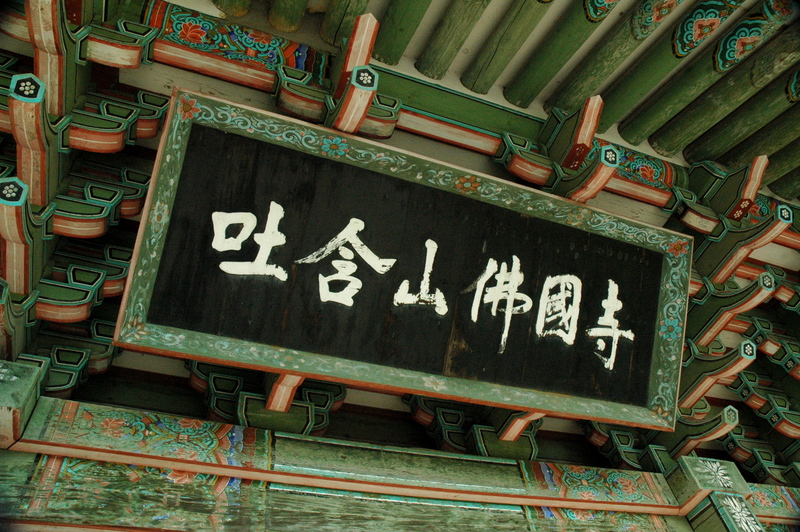 Like Haedong Yonggungs Temple, Bulguksa was burned down by Japanese invaders in the sixteenth century. 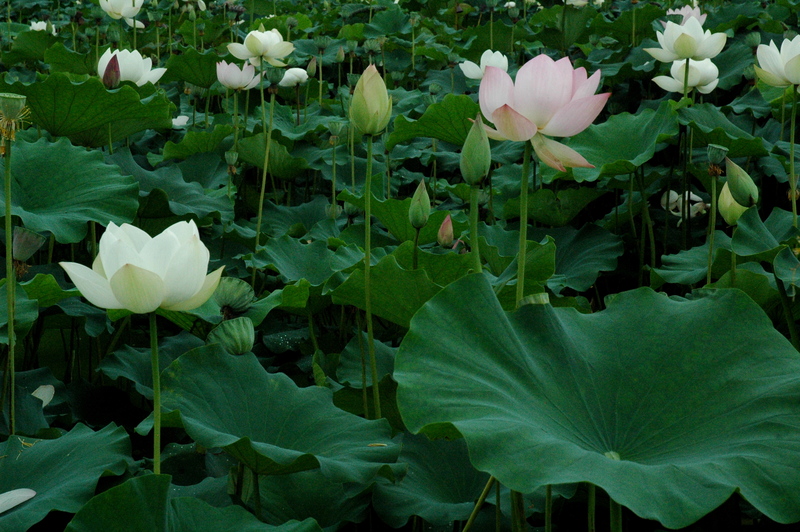 Not far from the temple is the Seokguram Grotto. Due to time constraints, we could not visit it. Inside Seokguram is a “monumental statue of the Buddha looking at the sea in the bhumisparsha mudra position” and is “considered a masterpiece of Buddhist art in the Far East.” In 1995, the Seokguram Grotto and Bulguksa Temple were designated as world cultural heritage sites by UNESCO. 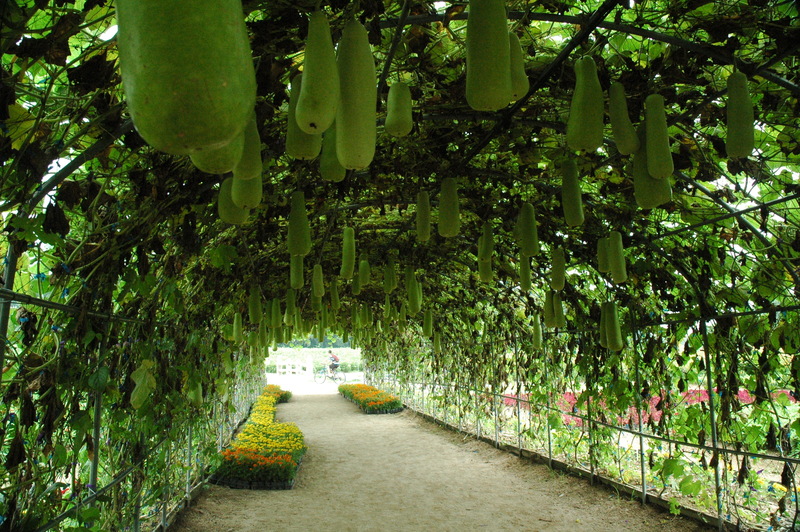 Bulgusksa is divided into three areas: Birojeon, Daeungjeon, and Geungnakjeon. 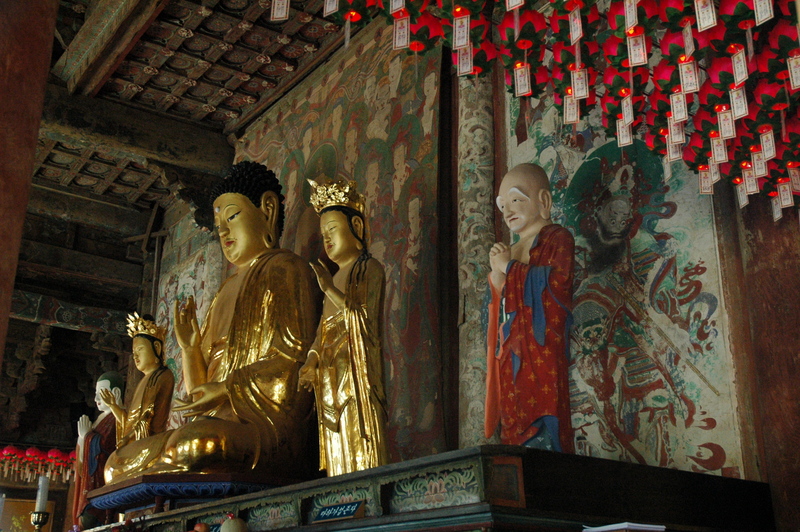 Daeungjeon Hall, the Hall of Great Enlightenment, enshrines Sakyamuni Buddha who attained enlightenment 2,500 years ago. After running around the temple and rubbing a golden aardvark, we started the journey back. Since it was all downhill, I barely peddled. I might have discovered in the worst way that only my front brake worked, but that just made the ride back more interesting. Jumping off a bike does not count as falling, right? After returning our bikes, Monica and I walked like newborn deer to get a rotisserie chicken while Brent purchased our train tickets back to Busan. As we were paying, two elderly men in the restaurant started talking to us. Unfortunately I only know a few words in Korean, but I figured that they were asking us where we are from. They looked at me and said “Philippines”, which completely shocked me. No one, unless they are half-Filipino themselves, ever guess that I am half-Filipina right off the bat. I thought it was harmless until the man said, “Philippines! Very good!” and did an awkward hand motion. Maybe I misinterpreted it, but we bailed. The chicken was delicious though. As far as things I have done since my last blog post, the three of us went to a bowling alley, a batting cage, and an arcade (again, for Brent’s birthday – I suppose we spoiled him). While bowling, a screen showed Kyuhyun on Super Star K, where he is a celebrity judge. At the batting cage, we were not given helmets and I actually ended up getting hit on the neck. It was hilarious and I will probably include it in the video I am making about Busan, but I did not reenter the batting cage after the incident. A head injury would not be worth the ₩500 ($0.42) I paid to hit 15 baseballs. Out of everything we did, my favorite was the arcade. Seriously – why aren’t arcades more popular in the United States and Hungary (the two countries I have lived in)? After playing at the arcade, our gluttonous selves came back and devoured huge slices of Brent’s birthday cake. Not a bad way to top off a solid night of gaming. I have a few more days in Busan before I head up to Seoul. Fortunately for me, I am moving straight into my flat and do not have to stay in a hotel for a few nights. I cannot wait to meet my new students! 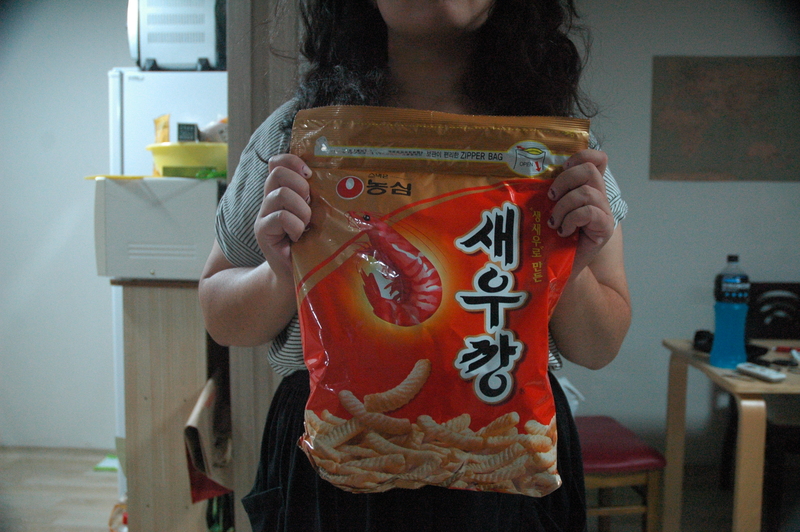 Lastly, I found a 400g resealable bag of shrimp chips. It is not that I am addicted, it is that I am financially responsible. Right?